Cell phone viewers click here for mobile property information webpage. Chasewood Park features the premier business address offering over 463,969 square feet of Class A, state-of-the-art rentable office space in Houston, Texas. Chasewood Park is ideally located in the Houston Technology Corridor on State Highway 249 adjacent to Hewlett-Packard's Compaq Computer Division headquarters. Our Premier Houston office space for lease currently consists of four office buildings: One Chasewood, a six-story, 107,968-square foot building; Two Chasewood, an eight-story, 153,226-square foot building; Three Chasewood, a four-story, 97,552-square foot building; and Four Chasewood, a five-story, 105,223-square foot building. Future development plans for our office space in Houston include two additional Class A office buildings, a 200-room full-service hotel, and outdoor amenities such as manmade lakes, jogging trails, and landscaped walkways along Cypress Creek, which runs adjacent to the office park. 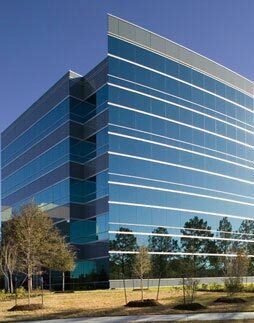 Our website is designed to provide you with information about our available first-class Northwest Houston office space for rent. Each office building has a section detailing the amenities, activities, and services available when you rent office space at Chasewood Park. 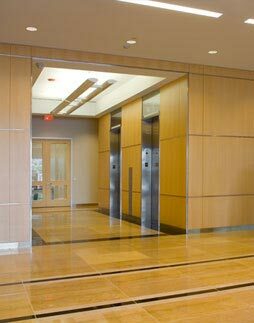 Review our amenities and resources to see what sets us apart as the best Houston office space. Chasewood Park promotes sustainability through our use of "Green" cleaning products, "Green" pest management system, on-site recycling, and E-Cycling events. All buildings feature an energy management system and energy efficient lighting which meets the current local municipality's energy code.